Houston Texans wide receiver Demaryius Thomas (87) had some harsh words about his final days as a Denver Broncos on a radio show earlier this week. ENGLEWOOD — Vance Joseph says the Broncos and former Denver wide receiver Demaryius Thomas both need to just move on from their recent breakup. Thomas said in a radio interview Monday, a day after his successful homecoming in a 19-17 Texans win in Denver, that he was misled by the Broncos about the possibility of a trade, was asked to surrender snaps to the team’s rookie receivers and was heartbroken over not being named a captain this year. Thomas said the day before he was traded, Joseph told him the trade talk wasn’t true. “I said, ‘How is that not true? My agent called me today and said (general manager John) Elway wanted a fifth-round pick for me.’ So, are we telling stories to each other now? I thought we were going to be men about this,” Thomas said. Thomas also said in his interview that new wide receivers coach Zach Azzanni told him he’d have to surrender playing time so the Broncos could give more snaps to rookie receivers Courtland Sutton and DaeSean Hamilton. He also said he was the only veteran receiver who was told this. 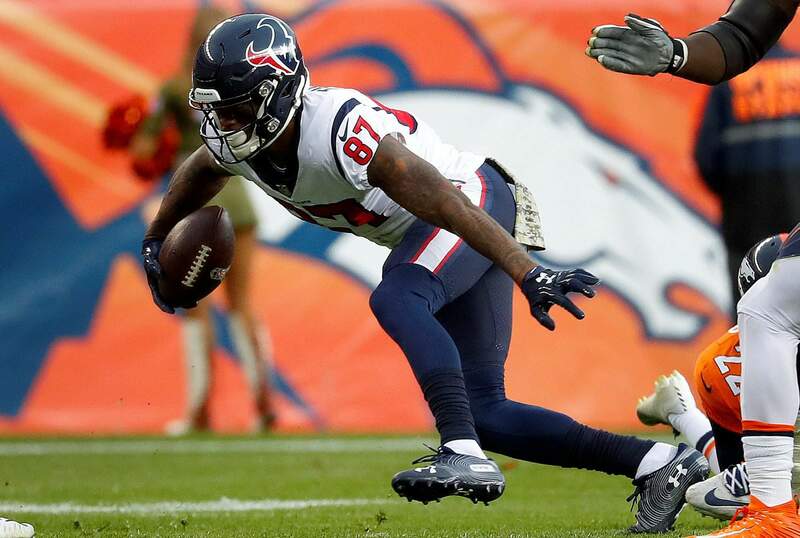 Thomas caught three passes for 61 yards in the Texans’ win Sunday in Denver, where the Broncos honored their former receiver with a video tribute before the game and by putting a giant “Thank you” on the 10-story-high banner of Thomas outside their stadium.